• How to find your most productive time of day for certain tasks. • Ways to identify and cut unnecessary habits and distractions from your life. • How to expedite business procedures by automating parts of your personal life. • Why “email pressure” causes stress and decreases your productivity. • When it’s time to hire a virtual assistant. 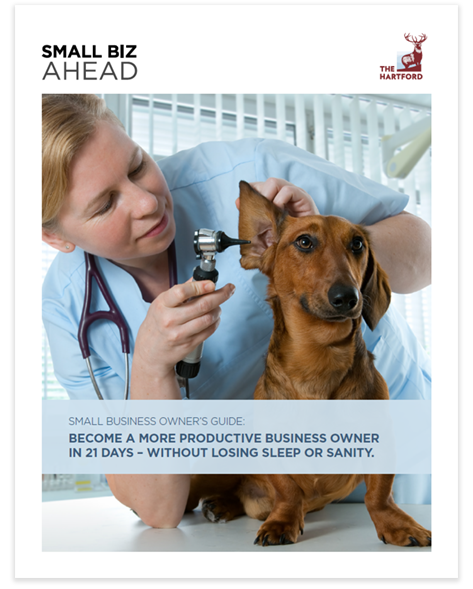 • The best strategies for “batching” work to increase your productivity and performance. *By submitting this form you agree to receive emails from The Hartford including our Small Biz Ahead weekly newsletter, designed to help you manage and grow your business, which can be unsubscribed from at any time. © Copyright 2019. The Hartford. All Rights Reserved. This email message may constitute a commercial electronic mail message under the CAN-SPAM Act of 2003.